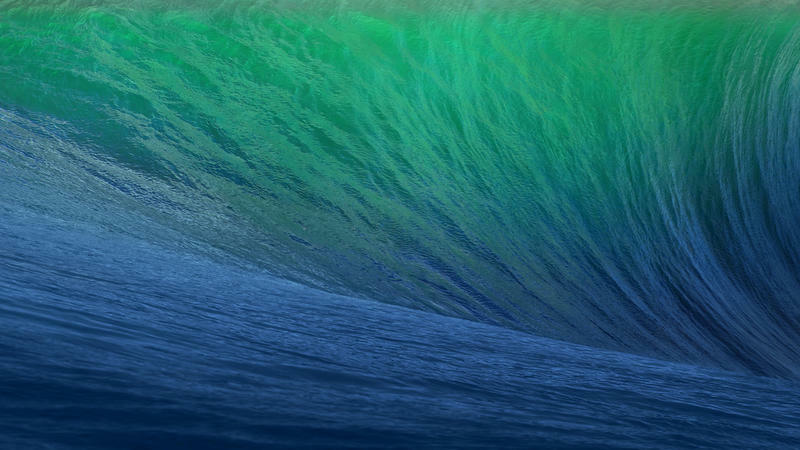 Mavericks, Apple's latest entry into the world of desktop software, will be available for FREE starting today, the company announced on Tuesday. The latest upgrade marks Apple's departure from its traditional feline naming scheme, and includes many under-the-hood improvements and crossovers from iOS, such as standalone Maps and iBooks apps; it also strips away some of the remaining skeuomorphism to more uniformly match Jony Ive's iOS 7 vision. Earlier this summer, Apple detailed a number of key features being introduced in Mavericks: improved notifications, Finder tabs, Tags, and an effort to make OS X even more power efficient, among other things. Apple claims Mavericks will be much faster than previous versions, promising better overall performance and longer battery life by revamping the software from the ground up. There's even a new "App Nap" feature that helps save power by slowing the app down if it isn't the center of your machine's attention. Perhaps the most visible change is the addition of the desktop Maps app, which makes Apple's platform even more accessible. The usual features are there: Flyover, real-time traffic, local search and more. There's also a way to send whatever directions it is you need right to your iOS device; plan a trip on your Mac, pick up and go with your iPhone. Apple's Maps hasn't assembled the most solid reputation since launching, but the service has improved greatly since its early troubles. A standalone app in Mavericks tells us Apple is confident enough in its service to make it a staple of OS X.
iBooks is another big feature, introducing the mobile experience to a desktop environment. In addition to being able to read the books you've purchased through the iBooks Store, iBooks for Mac is a more powerful tool for students, giving users the ability to easily take notes, highlight passages and more—the app will then push all of those changes to every Apple device you own, ensuring there's a seamless sync between smartphone, tablet and computer. Calendar and Safari are also getting some improvements. Apple says Calendar is "more streamlined with a fresh new look," mirroring the same design currently in iOS 7. Safari is allegedly much faster than previous versions, and introduces a new Top Sites design, which more easily organizes your favorites. Other features in Mavericks include iCloud Keychain, which essentially remembers all your passwords, and better multi-display support. The Golden Master for Mavericks has been out for a few weeks now, and we've actually been quite enjoying the update. Like previous OS X iterations, this one is more understated and focuses primarily on speed enhancements and user experience. Now you can check out the new update for yourself. Not sure if your rig will run the update? Check out this compatibility list here.